Clothing/Jewelry Description A white t-shirt with an image of the cartoon character Winnie-the-Pooh on the front, denim shorts with plaid or multicolored pockets, white socks, brown or tan ankle boots, a gold ring with a diamond, and a Mickey Mouse wristwatch. Distinguishing Characteristics Caucasian female. Black hair, green eyes. Elizabeth's nickname is Beth. She has a scar on her forehead. Elizabeth was last seen leaving work at Demco Plastics in DeForest, Wisconsin at approximately 3:15 p.m. on July 27, 2000. She was driving a borrowed green Jeep Cherokee with vanity license plates reading "DIDIS"; it was later found abandoned on a parking ramp at Meriter Hospital in downtown Madison, Wisconsin. She has never been heard from again and extensive searches of the area turned up no evidence as to her whereabouts. Elizabeth's husband of twelve years, Daniel H. Kutz, was arrested a day after his wife disappeared and charged with misdemeanor counts of stalking his wife and of obstructing an officer. He was charged with Elizabeth's murder a month later and convicted five months after that, in January 2001. A photo of Daniel is posted with this case summary. The couple's relationship was deteriorating at the time of Elizabeth's disappearance and she had separated from Daniel, taken their children and gone to live with her mother outside of Poynette, Wisconsin. She was also seeing another man. Daniel was reportedly extremely distraught about the breakup of his marriage and made threats against his wife. Elizabeth was afraid; the day she disappeared she told her mother to call the police if she did not arrive home within thirty minutes of leaving work. Daniel maintained that he and Elizabeth rode around in the Jeep Cherokee and discussed their failed marriage on the day of her disappearance, and she dropped him off at a gas station in Madison and said she would continue to Portage, Wisconsin. He stated that he never saw her after that and he never harmed her. Daniel was picked up by police at 11:00 p.m. that day as he walked down the road, soaking wet, without shoes or a shirt. He said he had left his shoes in the Jeep Cherokee and was walking home, which was thirty miles away. The police dropped Daniel off at his brother's house; he was arrested a short time later. 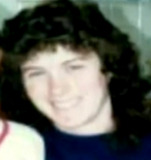 Traces of Elizabeth's blood were found on Daniel's wristwatch after his arrest, and drops of her blood were in the storage area of the Jeep when it was found. The vehicle had been wiped clean of fingerprints on the inside, but Daniel's prints were found on its exterior. Daniel is serving a life sentence for Elizabeth's murder. He maintains his innocence in her case. Her parents raised their two children. 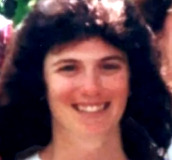 Elizabeth's remains have never been found, but foul play is suspected in her case due to the circumstances involved. Updated 6 times since October 12, 2004. Last updated October 5, 2015; four pictures added.